Since I can remember, there have a been a couple of restaurants at the Münzplatz like the Restaurant Münz (22. April 2013) or the Restaurant LUV Drink & Dine (10. March 2017). The newest opening is the Restaurant Klingler’s which has opened a bit more than a month ago. So I was very curious to experience this new place. The restaurant was half empty when we entered around 7pm and didn’t fill up much more until we left 3 hours later. But you’re welcomed super friendly and caring. You can see that Pietro, the head of the restaurant, knows how to attend his customers. They are jovial, friendly, funny, and yet very professional! Exquisite service, I must say! 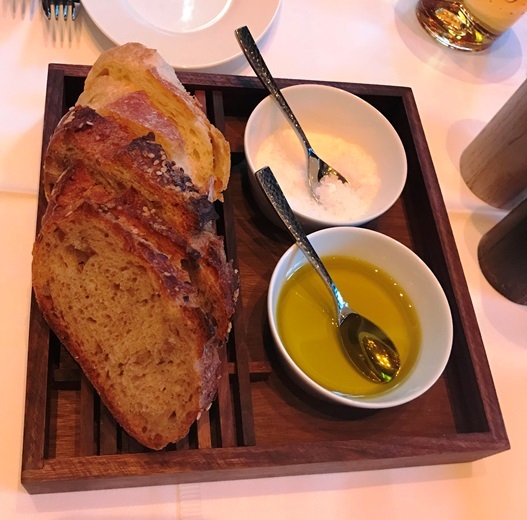 All starts with tasty “bread served with olive oil and salt” which is absolutely delicious. Funny enough, this is also prepared by Pietro (the second Pietro, the chef). 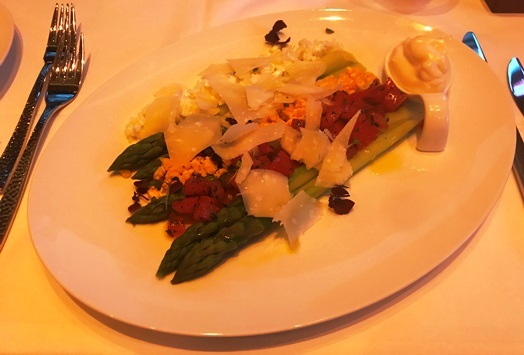 Given, I was still in my limbo state of ‘not eating meat’, I went for the daily special: “asparagus with eggs, tomatoes and Parmesan shavings” (CHF 26.00). I am usually not a fan of eggs really but the combination with the asparagus and the Parmesan shavings really made it a good dish. I liked it a lot.. 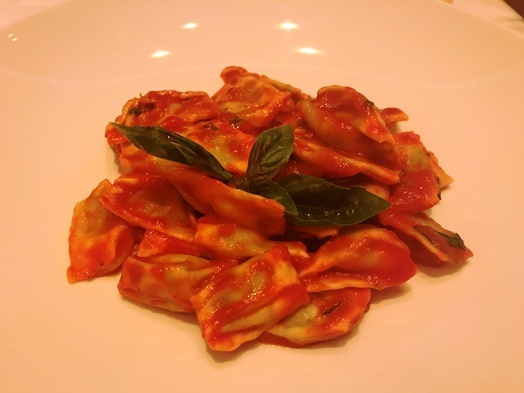 The “Ravioli ‘del Plin’ con ricotta e spinaci mantecati al pomodoro e basilico” (CHF 36.00) were good. A tiny bit overcooked, as in, not perfectly al dente, but with great stuffing and delicious sauce. Definitely worth trying. In my view, one can definitely give the Restaurant Klingler’s a try. The staff is professional and yet relaxed, the dishes are very good, the prices are okay for Zurich, and the atmosphere is quite nice too. Time to give this place a try, I’d say.